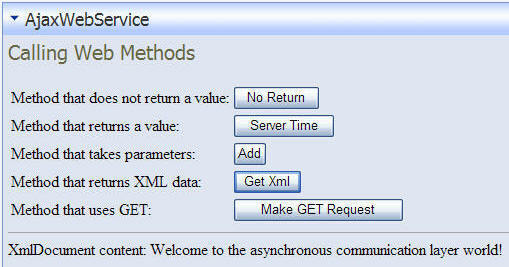 This article will cover what is needed to implement web services for use with ASP.NET AJAX in the DotNetNuke Framework. 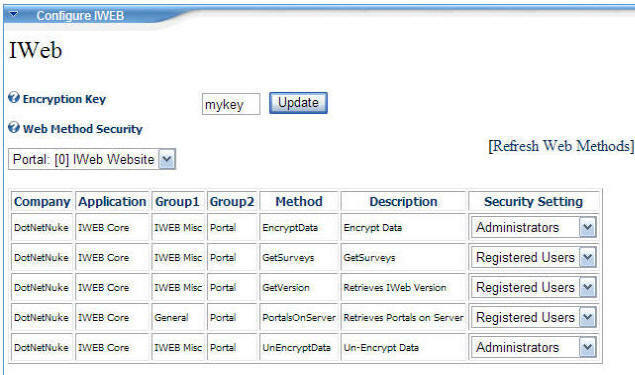 It uses code from the Microsoft ASP.NET AJAX site (http://ajax.asp.net/docs/tutorials/ConsumingWebServicesWithAJAXTutorial.aspx) that was converted to use as a DotNetNuke module. Also, see this post: Creating A DotNetNuke Module using ASP.NET AJAX for an overview of AJAX functionality with DotNetNuke and Creating Secure DotNetNuke ASP.NET AJAX Web Services for creating secure web services. The reason is that the DotNetNuke Framework injects the Script manager for you and only one script manager can be placed on a page at one time.